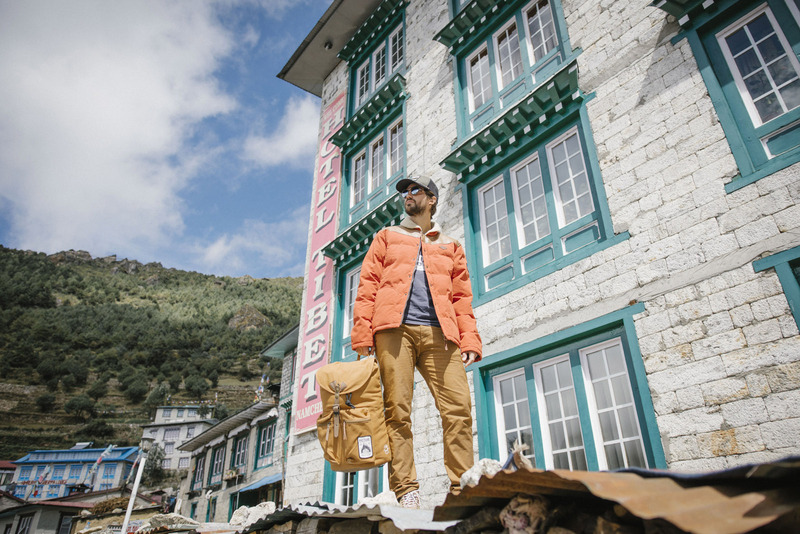 We went to an amazing country to inspire ourselves for the FW18 collection – Nepal. A timeless transition between the Middle Ages and modern world. This is how our guide Jean-Michel Jorda, a Nepal specialist, describes the chaotic development of the country: cows walking through the streets, a myriad of cables running along the buildings, but also magnificent landscapes, majestic temples and friendly people. During our journey we met locals with whom we discussed a lot the impact of climate change: torrential rain and other effects noticed on glaciers. After this observation on that amazing country, we chose a clear concept for our FW18 campaign: Climate change to challenge the industry to fight against this big problem. We chose our way by producing products with a minimum of 50% recycled polyester or 50% organic cotton. Concerning the Expedition line, brands like Patagonia and the North Face are pioneers and they inspired us. This year, we chose a mountain print with colors, lines and atmosphere inspired by the top of mountains. For the Adventure line, brands like Pukas inspired us with their distinguished gentleman riders, and we also took inspiration from iconic lifestyle workwear products, from colours and materials from Scandinavian design (wood, cork, steal) and also from brands such as Topo Design and Poler Stuff to propose something for urban adventurers: technical but with an urban design! Finally, for the Friends line, we were inspired by the running industry and by Scandinavian architecture lines with pure process colours from the Panton card (process blue/green/red, etc). ProKnit Series range: The ProKnit Serie Technology is dedicated to real explorers always looking for new experiences thanks to a multi-density knitted construction. 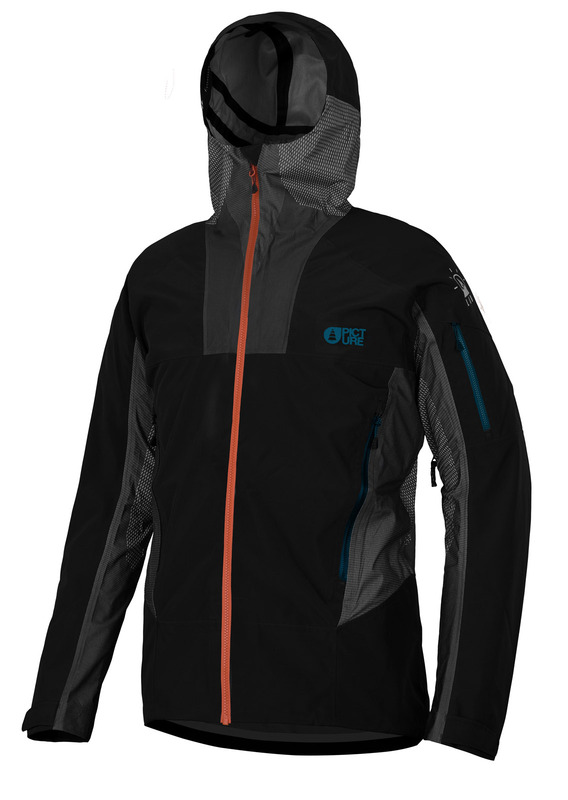 It is a new big step forward in the outdoor industry, as until now almost all technical shells have been limited to woven construction. Knitted fabrication offers users clear benefits in terms of breathability (seamless construction), waterproofness (PFC Free), comfort (natural stretch), and resistance to abrasion (thanks to body mapping construction). The ProKnit technology is also significantly more eco-friendly, using one large piece of knitted fabric, thereby eliminating scrap fabric from pattern cuts. Knitting a technical jacket instead of weaving it is a radical and innovative choice that allows us to answer specific needs and body requirements when skiing or snowboarding. Biodegradable Layer: We are proud to introduce the world’s first biodegradable polyamide 6.6 yarn : Amni Soul Eco ®. After five years of research looking to enhance the polyamide formula, Amni Soul Eco ® was released. It can break down slowly in landfills, where there is a lack of oxygen. While other fibers need decades to break down, it takes less than three years for Amni Soul Eco ® to disappear from the planet. Its biodegradable property makes it a sustainable option to reduce pollution caused by waste, contributing to a better world for future generations. Amni Soul Eco ® is also 100% recyclable, reusable and Oeko-Tex® certified (standard 100, class 1). In addition to a high environmental value, Amni Soul Eco® offers all of the benefits expected from a polyamide yarn: soft touch, comfort, breathability, moisture management, easy-care & fast drying. Beewax range: We offer on a product selection (Adventure layers and 2 bags), a natural repellent treatment for your eco-friendly jackets, with no chemical additives & 100% natural ingredients because it’s produced from honey bees! You just have to take the block of wax and rub it on the part of the clothing you want to be water repellent. Then, melt the wax into the fabric using an iron; It is done, your product is water repellent! We keep the same fit guide which works very well with the Regular Fit, Tight Fit and Street Fit. We just added a new tighter but taller one that we call “tall regular fit” because this is the way the market is evolving. The design team has worked on different very original prints for men such as the Mountains dedicated to the most technical range for which we took the inspiration at the top of mountains; and the Aztec print for the Adventure line to add an urban design to a technical product. We use a lot of khaki which is very trendy this year, but we also keep our basic colours such as grey, blue, black and green. Since the beginning we have worked on finding Eco-alternatives to innovate. Below are the 3 most important for our FW18/19 collection : Eco-friendly products without compromise on technicity. New technical stories are the ProKnit series range, Biodegradable layer and Beewax range as mentioned above. We are moving away from heavy color blocking: We have moved these designs to 2 tones of colour. Furthermore, we are now more and more working on products which have a lifestyle / street style and at the same time technical and functional features. ProKnit Series Range, biodegradable layer and Beewax range, as mention above. Ivy Bag: Because each journey is different, we took advantage of the Innovation Camp to imagine the perfect bag to serve the adventure enthusiast. The result is a highly versatile pack equipped with 4 compartments that can be fastened or disconnected. This pack can be used as a 20L daypack, a 70L duffle bag and even a bum bag. 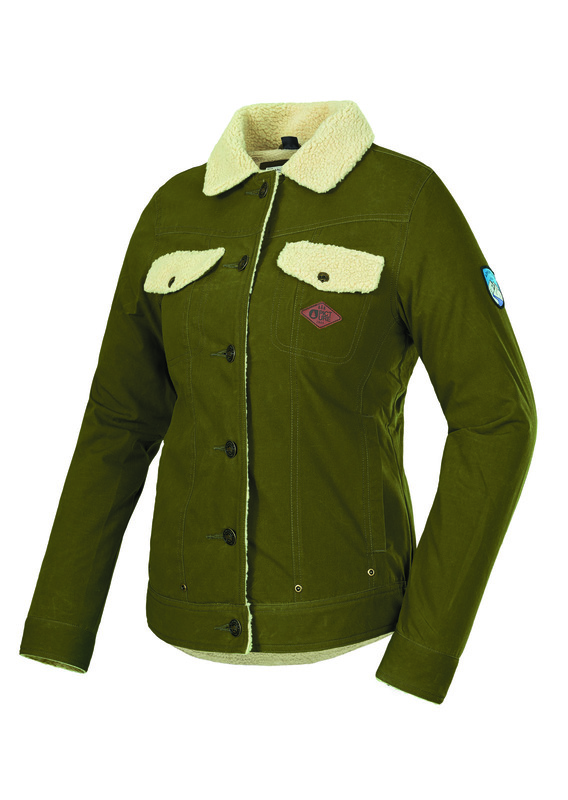 It is made of 50% recycled polyester and OEKO-TEX certified. The IVY Bag’s adaptability allows for storage optimization and options ideal for all camping styles, air travel and rail journeys, ride sharing and snow or bike trips. All the good reasons to enjoy adventure and the unexpected! Winter wetsuit: We wanted to get involved in surfing while being environmentally responsible and providing high quality products following our 100% Eco-friendly vision. Since May 2017, we are proud to offer a sustainable and responsible alternative to the rarely recycled and polluting neoprene: NaturalPrene stretch technology. It is made of 85% natural rubber from a Malaysian plantation called Hevea and from 15% synthetic chlorine-free rubber. With high quality and innovative features inspired by tri-suit technology, our cold water program is a good answer to surfing in extreme conditions. Eco shoes: If shoes allow people to step forward day after day, can’t it also guide people towards a responsible approach? We now offer the opportunity to impact one’s ecological footprint with durable shoes made of organic cotton, recycled polyester and equipped with a recycled sole. 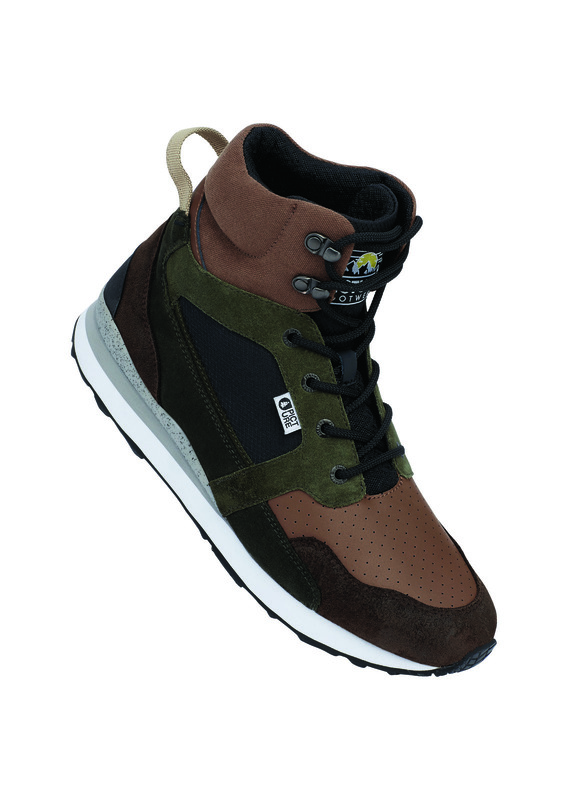 These shoes are eco-friendly and feature a lifestyle design as well as functionality: improved upper, comfort, protection, non-slip sole and waterproof! When the designers were imagining the world’s first biodegradable baselayer, they had to work hard on keeping technicity and improving the eco-side of the product. But after five years of research looking to enhance the polyamide formula, Amni Soul Eco ® was released. It can break down slowly in landfills, where there is a lack of oxygen. While other fibres need decades to break down, it takes less than three years for Amni Soul Eco ® to disappear from the planet. Its biodegradable property makes it a sustainable option to reduce pollution caused by waste, contributing to a better world for future generations. Amni Soul Eco ® is also 100% recyclable, reusable and Oeko-Tex® certified (standard 100, class 1). In addition to a high environmental value, Amni Soul Eco® offers all of the benefits expected from a polyamide yarn: soft touch, comfort, breathability, moisture management, easy-care & fast drying.